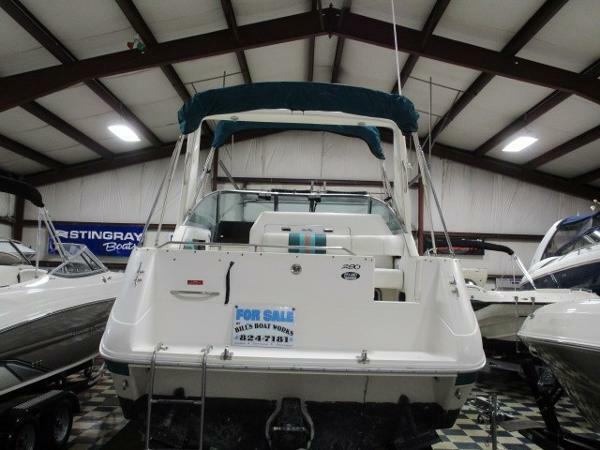 FOR SALE: 290 SEA RAY SUNDANCER 1993 - ENGINE 7.4 BRAVO II, FULL CANVAS, HUMMINGBIRD FISH FINDER 535, HOT WATER TANK, MICROWAVE, REFRIGERATOR, 2 BURNER STOVE TOP, ON BOARD BATTERY CHARGER, DUAL BATTERIES, 3 STEP SWIM LADDERS, SIDE DINETTE. 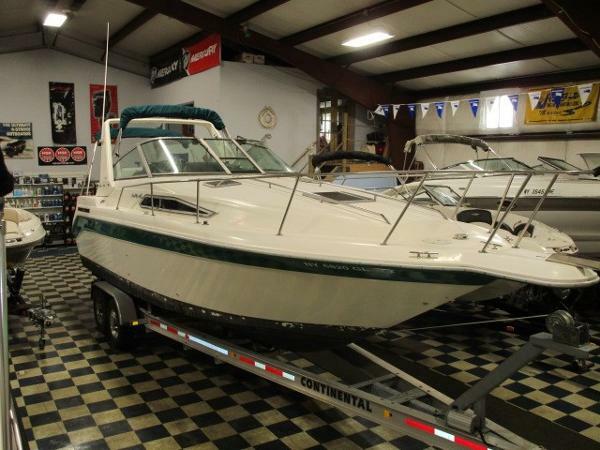 BOAT PICTURED IS ON A YARD TRAILER AND NOT INCLUDED IN SALE- PLEASE CALL FOR A QUOTE. 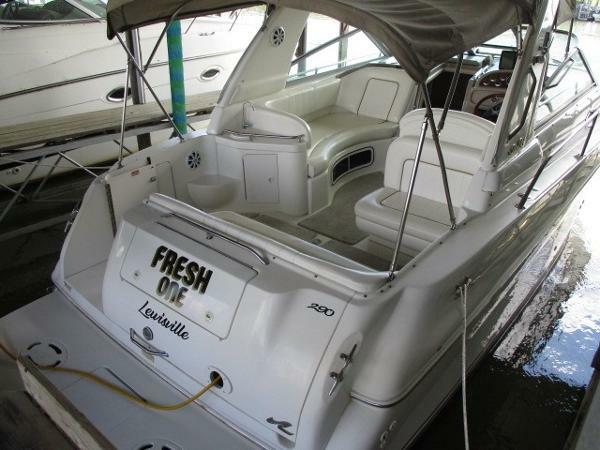 VERY, VERY CLEAN!FRESHWATER USE ONLY!GENERATOR & A/C!This 2000 Sea Ray 290 has been well cared for and was just serviced out of the water. Powered by twin Mercruiser 5.0 EFI with Bravo Three stern drives with 400 hours. 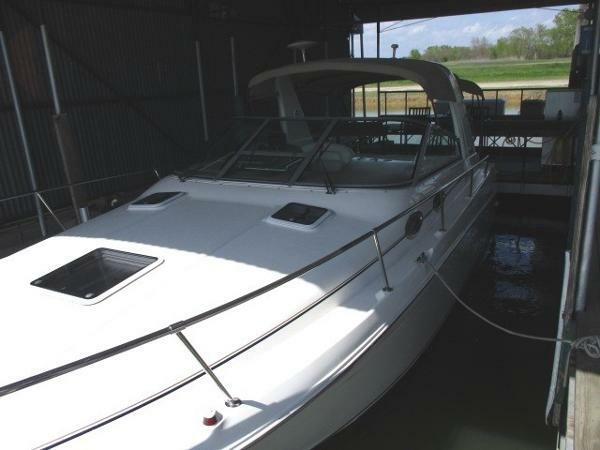 Other features include a 5.0kw Kohler generator with only 251 hours, Factory Marine AC/Heat system, Cockpit cover, Bimini, Bottom paint in good shape, Garmin GPS Map 935 GPS/sonar system, Remote spotlight, Remote windlass, Clarion sound system, full galley, vacu-flush head and more. Plus this year model 290 has a private aft stateroom with privacy door! 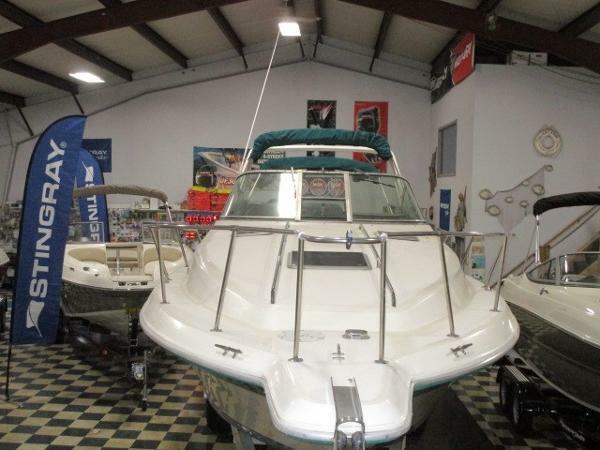 You will not find a nicer 290 Sundancer on the market! 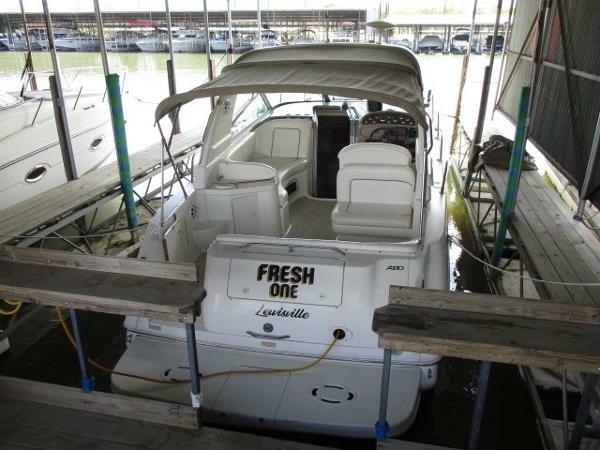 Located on Lake Lewisville/Dallas & shown by appointment only.